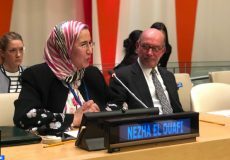 New York – Secretary of State for Sustainable Development, Nezha El Ouafi, said, Tuesday in New York, that Morocco’s commitment to reduce its greenhouse gas (GHG) emissions by 42% in 2030 requires a global investment of around US$50 billion, of which US$24 billion is contingent on international support. “Despite its low responsibility in the problem of climate change, Morocco has developed its NDC with the conviction that global ambitions to tackle the phenomenon of climate change call for a significant commitment from all parties both in terms of mitigation, adaptation and means of implementation, cooperation approaches and transparency,” El Ouafi noted at an informal meeting of world economic leaders (IGWEL) on climate change and geopolitics, held on the sidelines of the 73rd session of the United Nations General Assembly. In this regard, El Ouafi stressed that increasing the level of ambition raises issues at several levels. At the political and international level, the international community adopted, in 2015 at COP 21, the Paris Climate Agreement to keep the increase in global average temperature to well below 2 °C, and made of COP 22 in Marrakech and COP 23 in Bonn COPs of action to combat climate change, by mobilizing both state and non-state actors, she recalled. 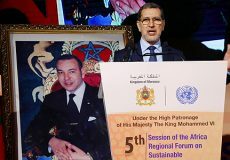 At the national level, Morocco has adopted several structuring and complementary measures in accordance with the royal guidelines to set the country on the path to a new development model. These measures affected several projects, in particular the legislative and regulatory framework through the new constitution of 2011, which enshrines sustainable development as a right for all citizens, and framework law 12-99 on the National Charter for the Environment and Sustainable Development. This framework has been supplemented by other texts relating, for example, to water management and strategic environmental assessment of projects, she said. These structuring measures also concern the economic framework through the establishment of the fundamentals of a green and inclusive economy in Morocco by 2030 in all sectors, including the waste recycling sector and the energy sector by aiming to increase the contribution of renewable energies in electricity production to reach 52% by 2030. In this context, El Ouafi added, the Moroccan solar project includes the construction of several solar stations after the Noor Ouarzazate Complex, considered the largest solar thermal power plant in the world. 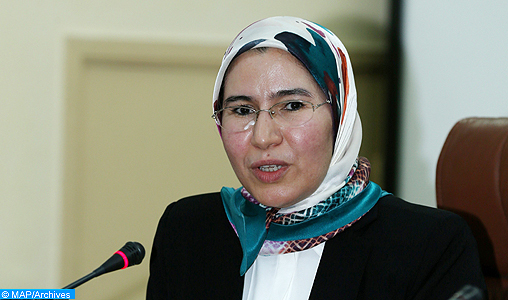 Regarding the social framework, the minister stressed the importance of reducing social disparities through strengthening the National Initiative for Human Development, combating all forms of discrimination against women and generalizing education and health for all, while the environmental framework involves the implementation of a set of priority environmental programs, such as the National Household Waste Management Program, the National Industrial Pollution Control Program and the National Air Pollution Control Program. In addition, the secretary of State underlined that Morocco, due to its geographical position, its climate, and its coastline which extends over 3500 km, will be strongly affected by the adverse impacts of climate change and presents an ever-increasing vulnerability. 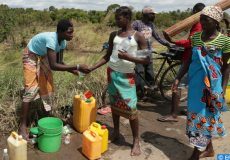 This vulnerability is accentuated by various factors, including the structure of the economic fabric and the geographical situation. To address this situation, Morocco has undertaken reforms and structural projects aimed at both mitigating and adapting to the adverse effects of climate change, such as the implementation of a national energy strategy mainly meant to promote renewable energies and increase their contribution to electricity production to reach 52% by 2030.